I just made a new denim skirt for myself because my current one is getting very faded and worn-looking. This has gotten me thinking about my fall & winter season, at-home wardrobe, which I love because it is so simple! For several years now, I’ve had a rule that I only buy what will go with black shoes and nylons. So almost every day (remember, I stay at home), I wear a dark skirt, a turtleneck (I have lots of colors—although white is my favorite), and a full-length (full-body) apron—the old-fashioned kind. Even my hair clips and headbands are black, since I’m always wearing black shoes! It is so simple, AND I get to pretend I’m old-fashioned! I’m sure everyone who comes to my door thinks I’m crazy, but I don’t care! My next project needs to be another apron, because I go through them pretty quickly, and my November/Thanksgiving apron is beginning to fall apart! 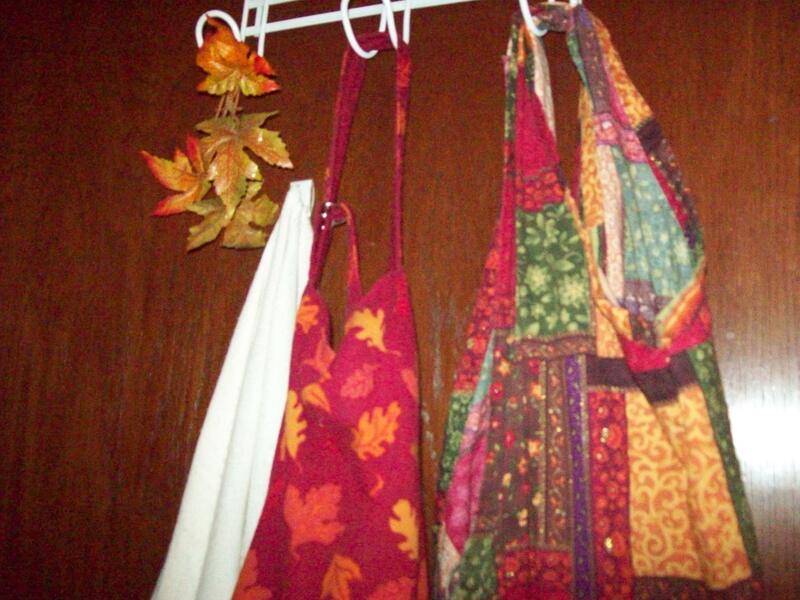 Here’s an apron pattern I used a few years ago, and I loved it so much, I wore it out! Sewing a Men’s Suitcoat: Sewing 501? I spent most of yesterday at a friend’s house, helping with a challenging sewing project; she’s making a regency men’s coat (complete with penguin tails!) for her brother. I was there mostly to decipher the instructions, since neither of us have ever made a men’s suitcoat before! I wish my mom was still here to help, as she never got around to teaching me how to make a suit!